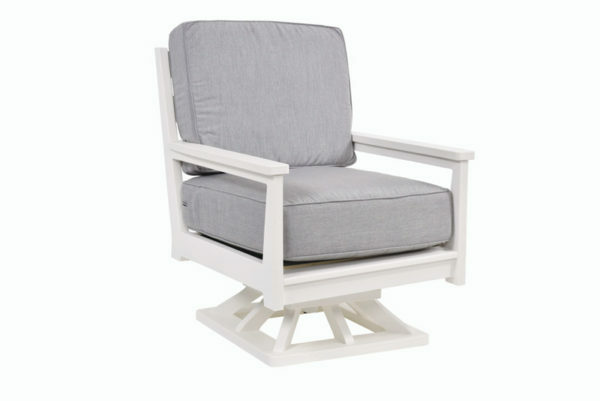 The rocking and swivel motion is done with comfort and durability on the mind when producing this chair. The twenty year warranty will also give you peace of mind. We at Plants and Things USA love when you come into the store to pick and choose your Sunbrella fabrics and to see your face when you enjoy the comfort. American made poly lumber and available in all finishes.